Vidur’s music bespeaks a soul searching intensity, a struggle deep within, with his strong and melodious style, a style unique and characteristic of this search. He has been enthralling people with his music for more than two decades. 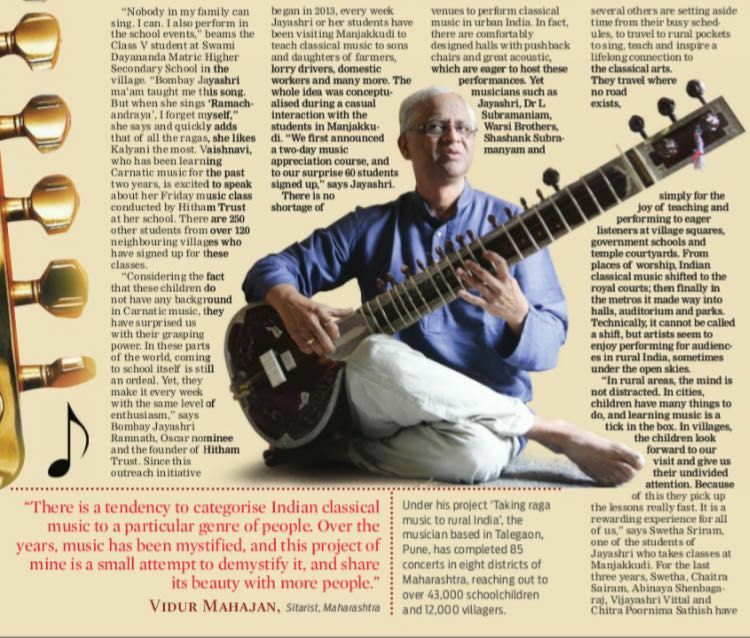 He has his own school of Sitar (Harmony), rooted in a philosophical understanding of Raga Music and the Instrument. From life’s experiences, Vidur modeled a relationship between Team Building and Music, which is appreciated and received very well in corporate fields, India and abroad. He designed his own course of ‘Meditation with Sitar’, playing his music, in its meditative and spiritual best. The documentary on "Taking Raga Music to Rural India" is available to watch now. Vidur and his daughter Neha set out on a journey through Maharashtra with their Sitars. Watch, to see how the people in the villages of India welcomed them, and their music. 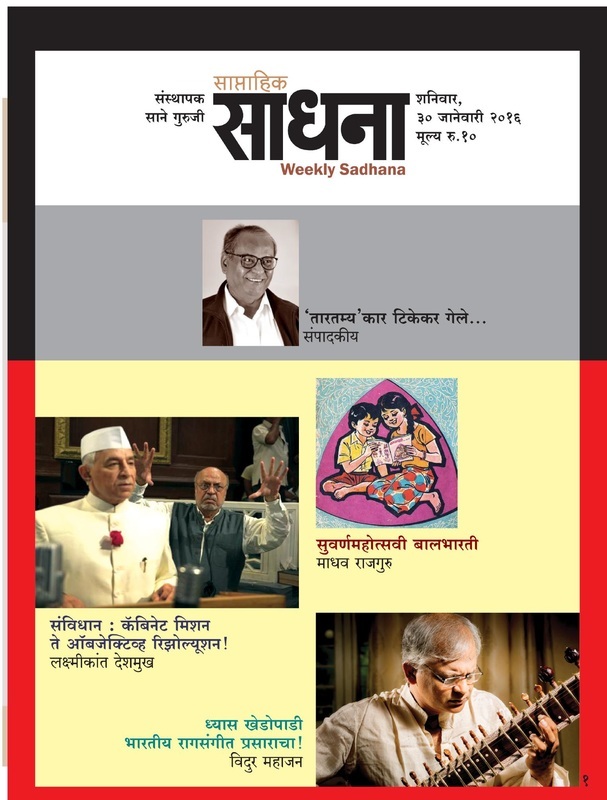 विदुरच्या "र - ('स्व' च्या शोधात)" या काव्य-संग्रहाचे प्रकाशन मुंबईत ११ मे २०१९ रोजी ज्येष्ठ अभिनेते श्री. किशोर कदम यांच्या हस्ते, तर पुण्यात १९ ​ मे २०१९ रोजी ज्येष्ठ कवयित्री श्रीमती आसावरी काकडे यांच्या हस्ते होत आहे. Institute for psychological health (IPH), Thane, run by Dr. Anand Nadkarni had invited Vidur for his presentation about his different projects on February 16, 2019. 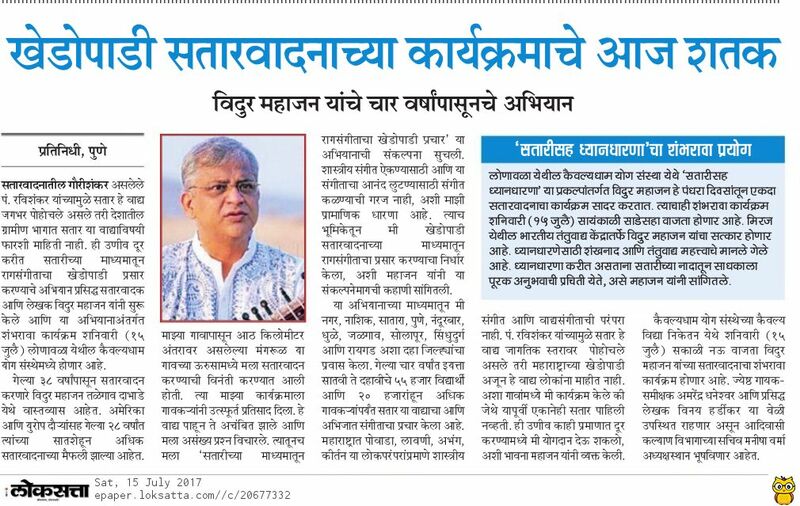 People from 10 different cities in Maharashtra were gathered for this program. It was part of Vidur’s efforts to reach out different parts of the state. 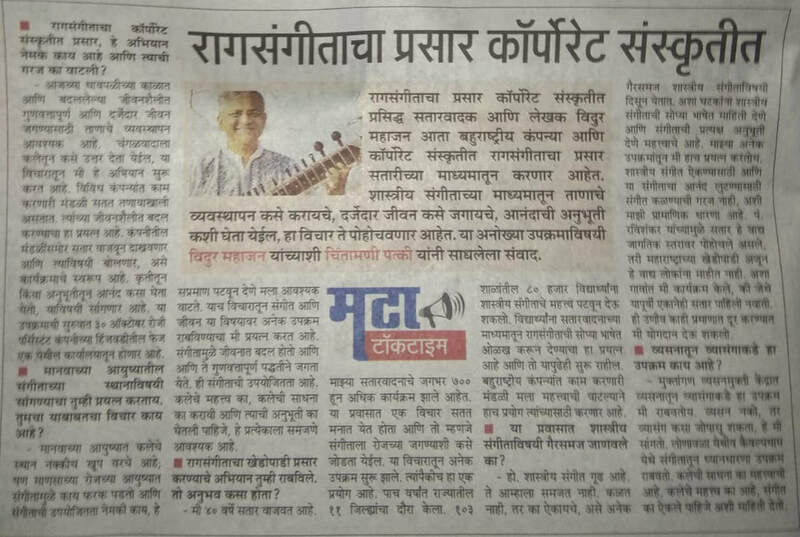 "Taking Raga Music to Corporates"
The Get-Together by "Harmony School of Sitar" is organised on February 03, 2019 at Maitraban, Pune. Vidur's book having prose-poetry and photographs in which prose and poetry is written by him. Its titled 'Gandhar-Pancham' and got published on 23rd October 2016. Vidur performed on November 6, 2016 in Leicester during his tour to UK in October-November 2016. Every alternate Saturday, Vidur performs in the famous Yoga Institute Kaivalyadham in Lonawala. Vidur is a recipient of Lok-Seva Puraskar 2016 awarded by Akhil Bhartiya Lokseva Samiti, Mumbai.